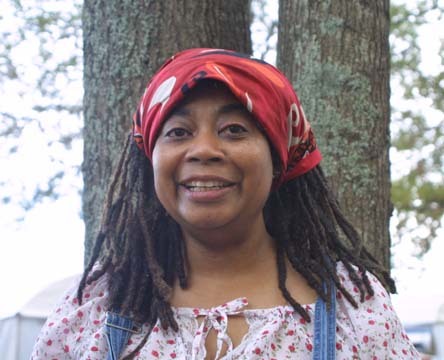 Della Wells was born in 1951 in Milwaukee, Wisconsin and is a self-taught artist. 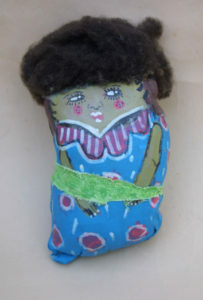 As a child, she made up stories and characters, many based on her mother’s recollections of growing up in North Carolina during the 1920’s, 1930’s and 1940’s. 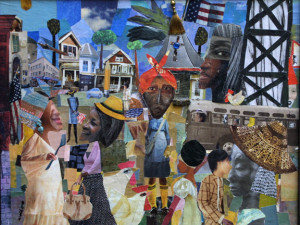 Wells used these stories to escape the madness of her mother’s mental illness and her father’s rage and eventually used them to inspire the collage art she creates today. 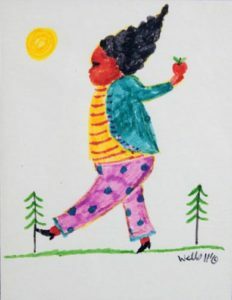 Wells feels strongly that “being a master of your spiritual self does not come until you understand from where you came from.” She incorporates her own folklore in her work which often has subtle symbols from the civil rights struggle. 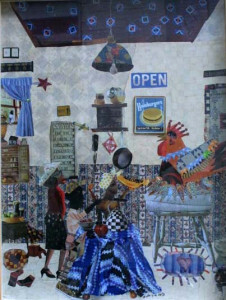 Wells’ work has appeared in various publications including Self Taught, Outsider and Folk art Guide to American Artists, Locations and Resources by Betty-Carol Sellen and Cynthia J. Johnanson and the book, Permission To Paint Please: A 150 Year History of African American Artists in Wisconsin written by Evelyn Patricia Terry. A play about her life, “Don’t Tell Me I Can’t Fly” was written for a performance at The Kennedy Center in Washington, D. C. and it was also presented in Wisconsin. Her work was also provided illustrations for a children’s book published by National Geographic and for another book to be published in 2016, Electric Angel. 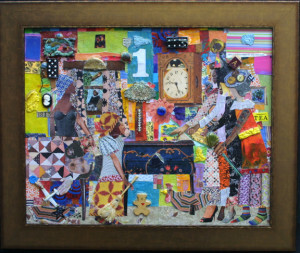 Wells’ work is exhibited in Europe and throughout the U.S. in folk art and outsider galleries from coast to coast.